Photo Credit: Daniel A. Swalec. Tim Rice and Andrew Lloyd Webber’s early 70s musical Joseph and the Amazing Technicolor Dreamcoat has been given a frantic, up-tempo makeover. 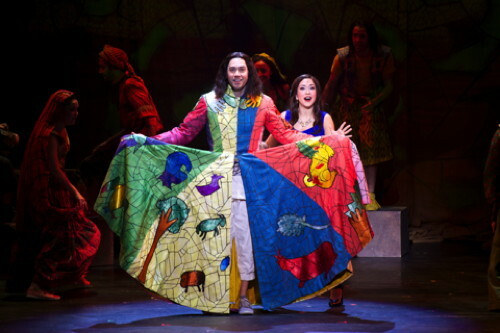 The unimpressive and crazily fast-paced show stars two American Idol alums in the two leads roles: Diana DeGarmo as “The Narrator” and Ace Young as Joseph. Joseph is showing at the Pantages Theater in Hollywood until June 22. Based on the ‘coat of many colors’ tale of Joseph from the Bible’s Book of Genesis, the musical has lyrics by Tim Rice and music composed by Andrew Lloyd Webber and runs the gamut from rock, pop, country to disco. Interestingly, it was the first Lloyd Webber and Rice work to be performed publicly. The pair each went on to achieve fame with far better compositions such as Jesus Christ Superstar, Phantom of the Opera and Evita. Short and sweet, the show runs at less than two hours, including a 20 minute intermission, and races along at a frenetic pace. Clearly the producers don’t think their audience has much of an attention span as it was like watching a Grand Prix car event! While the voices were fine for this unchallenging and lightweight musical, Ace Young performed the leading character of Joseph with a huge goofy, rictus grin plastered all over his face the whole time — even when he was imprisoned! It was actually ridiculous. A highlight was an Elvis impersonator and the routine he does with his the disciples. The scenic design by Beowulf Borutt— if you can even call it that — is extremely cheap, with cloths and projections standing in for actual sets most of the time. Lame! Under Andy Blankenbuehler’s questionable direction, this tired old musical is pretty bad, but rest assured it’s all over pretty soon. Show runs until June 22, 2014. Check the official site for details & bookings. Valid Tuesday, Wednesday, Thursday, Friday and Sunday evening performances June 13 – 22. FINE PRINT: Select seats in Price Level 2 are $39 (Reg. 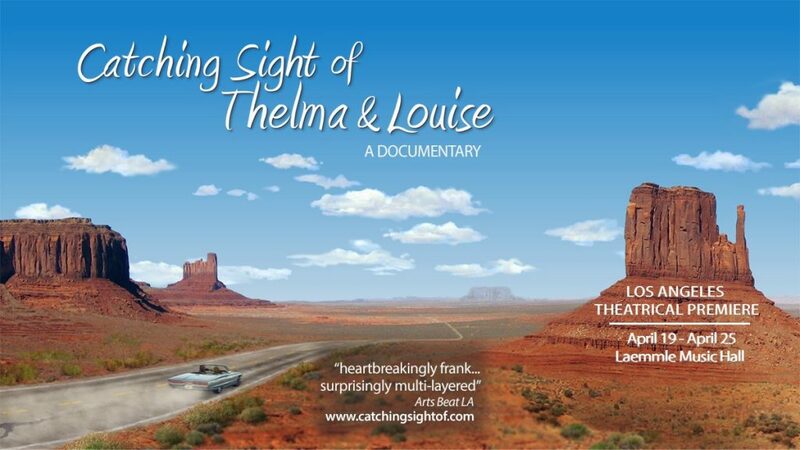 $85) on Tue, Wed, Thu, Fri and Sun evening performances June 13 – 22, 2014. Subject to availability. Not valid on previously purchased tickets. May not be combined with any other offer. Customary Ticketmaster convenience fees apply to all online and phone orders. Offer may be cancelled at any time. I’m glad you wrote this review. I was wondering if there was a way for me to comment on our disappointment in this show. My wife bought us tickets to see the show last night for us for Father’s day as a surprise. She and I saw the original tony-award nominated production in NYC in June 1982… that one was very good. Then, Laurie Beechman (who went on to star in Cats and other musicals) played the Narrator part and really stole the show, as her powerful voice rang over the top of the show – she was nominated for a Tony for it. I’ve found a clip of her doing the Dream song on the Merv Griffin show. While we also had similar thoughts to yours on this show… there were other things that really worsened the experience from our perspective. The story is a serious one from the Bible… while the original production used humor to lighten it up and make it entertaining, it didn’t make fun of it, but captured your heart into the story with humor coming primarily from the musical changes (e.g., using a country-western tune to break the news of Joseph’s demise to their father, or having the Pharoah turn into Elvis, as the ‘king’). These were ways to have comedy relief to a serious story – not to make fun of the biblical story itself. Musically… well, finding them changing keys to accommodate apparent issues the singers had with their songs…Another huge issue is their use of ‘speaking/yelling’ lyrics instead of singing them – this was a horrible insert to the music quality… dramatically lessening the experience. They’ve re-written things that change the show from its better origin in ways that don’t help anything. For example, the Pharaoh Story (the dream song) was originally done before the intermission, with the Narrator doing a short reprise just after it to lead us back into the story. The new way was unnecessary and left us hanging after the raucous ‘Go Go Go Joseph’ song instead. Also – there were far too many insertions of dance numbers that were not in the original show…ones that didn’t add anything. We agree with the comment on the man playing Joseph – his smile was so wide, he looked like a fool instead of a proud son. 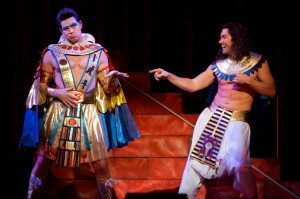 And by the way – in the original production, Joseph was not shirtless for most of the show… what was that about? Interestingly the original broadway show had much simpler sets and yet, were much more heart felt – and that was the thing that was missing the most in the whole show – HEART! The continuous actions to make it as if it was all a farce to make fun of it was such a huge distraction that the story itself was being lost in the madness. With all the constant distractions, there was only one moment that was left for the heart – the re-uniting with his brothers. The original show was a beautiful story that had incredible singing and a heart-felt story of painful betrayal/loss, triumph over adversity and then wonderful redemption and re-uniting of the family…all while foretelling a much larger story of the bible itself. I wish the original was available on video though I’ve been able to find the Tony awards performance by the original cast on YouTube recently… recommend that. Of course the original soundtrack is a good one… if you want to at least hear the contrast, you can do so by listening to that. I believe Andrew Lloyd Webber and Tim Rice would be horrified at this new production of their wonderful musical…we were saddened by it and I wasn’t pleased knowing my wife spent a lot on those tickets for us. I hope someone will someday re-produce the show in a manner like the 1982 production that ran in the early 80s… and bring back the wonderful story. I completely agree! I wish I had seen this review before I spent hundreds on tickets for my husband’s Father’s Day gift, and for our 14 year old twins graduation presents. We didn’t see Joseph in the 1980’s, but at the Chicago theatre in 1994 (about). It was SUCH a great experience, we went again to take my mom and grandma, and AGAIN to take our oldest children. This version was SO disappointing. Obviously Ace could not do the songs as intended, and it was obvious. The sets were cheap — there is really no other way to say it. It was like a middle school play with adults. The dancers were uncommitted and lazy, and frenzied in places. It was a huge disappointment, and I wish there was a refund policy. We will not be taking others to see it.